Transport research centre TRL has been commissioned by Highways England and the Department for Transport to identify and appraise zero emission HGV technologies. The project will underpin one of the main freight goals within the Government’s Road to Zero strategy, to significantly reduce carbon emissions from long-haul HGV movements by 2040. Due for completion in February 2019, the study will use a number methodologies including Delphi Panels – consulting panels of experts – aims to establish which technologies should be taken forward into a full-scale trial. Gavin Bailey, technical and business development manager at TRL, said: ‘The study will provide an essential first step toward a solution leading to a critical improvement in air quality as well as a significant movement towards the Government’s Road to Zero goals. ‘Our review and appraisal of existing technologies will include battery and hydrogen fuel cells and extend to include innovative solutions such as dynamic (in-motion) road charging techniques. 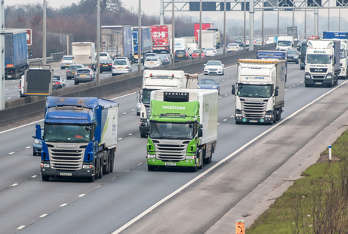 TRL said its role will be to identify and appraise the potential zero emission HGV technologies that can potentially make a positive effect on climate change and air quality, ‘all informed by a scientifically rigorous literature review and a range of stakeholder engagement exercises to obtain a comprehensive and detailed understanding of the technology options available’. This will culminate in criteria for the assessment of the technologies which will be included in the strategic outline business case (SOBC). TRL will also be undertaking a programme to identify recommended research and development activities, including full-scale demonstrators for the technologies emerging from the SOBC. The final project report will identify the activities required by external stakeholders.